If you’re not paying for it, you’re the product. Most people know this. The basis of the business model is that your personal data is mined and shared with all kinds of companies that can use this data for their benefit. Mostly this data is used to sell advertising space or intelligence to improve advertising efficiency. 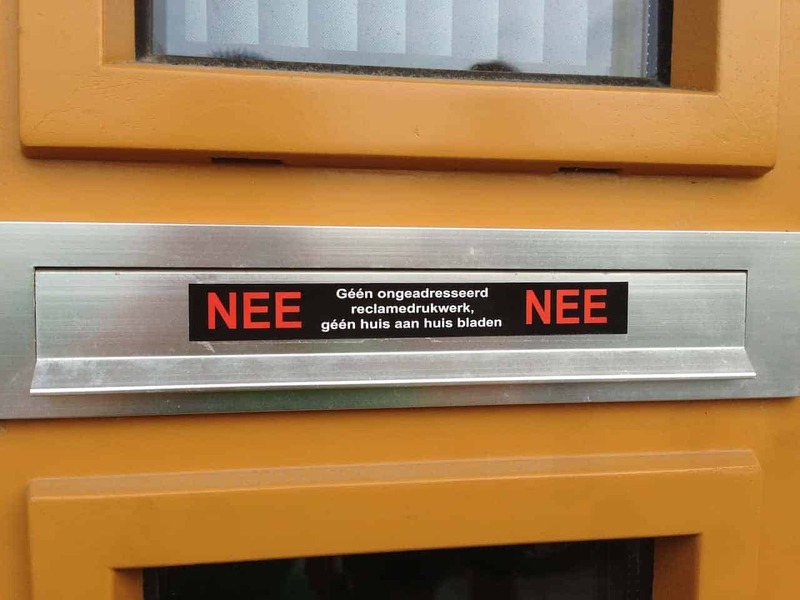 We have seen a massive adoption of the “no-no”-mailbox sticker in the nineties and the rise of the “don’t call me register” in the years 2000 with over 8 million phone numbers registered (for comparison, The Netherlands has somewhere around 7,6 million households). Whom has been working in Direct Marketing saw the rapid decline of conversion rates that, regardless of the new channels used, have now stabilized to levels where it’s safe to say that > 97% of all Customers are ignoring efforts and more likely have been annoyed by them. With the rise of available data, and more specifically contextually relevant behavioral data, companies are seeing the gold. Marketeers, but not just them, believe that now they will be able to build contextually relevant offers for the right Customer/prospect at the right price, place and time. How can it not be? Adding real (time) behavioral data to existing transactional, interactional and personal data, will surely result in better outcomes from (analytical) marketing efforts. It’s the missing link, isn’t it? In The Netherlands ING launched a plan last week to sell Customer data so that buyers could make relevant offers to the ING Customer base. That news caused quite a stir even though ING explained it would ask explicit Customer approval to do so. And still 1/3rd of Customers say they are considering moving their business elsewhere (many probably won’t in the end, because the are continuing with their busy lives; but the signal is there, not to be ignored). ING clearly struck a nerve. People are accustomed to the idea of being the product. They accept it every day in the context where their benefit is clear to them. Usually it is the benefit of use. In return they will bear the “costs” to them in shape of “contextually relevant ads” and some privacy. But when “contextually relevant ads” becomes the return for giving up your (financial) privacy that is not a very compelling offer, is it? And there is more to it. Vendor Relationship Management as a concept has been around for a while. To me this has been compelling thinking with little practical stuff to back it up. Until a little over a year ago when The Hub Of All Things was founded by Irene Ng (a.o). The Hub Of All Things (HAT) – project approaches opportunities that arise from Big Data from a multi-sided market perspective, building a personal data-vault for Consumers and a platform for companies to build new business models on. I strongly believe this is the way to move forward. As always the really good stuff takes time, a lot of time before these initiatives bring forth use-cases that work. In the meantime companies that are looking to develop Big Data initiatives should really consider what it brings to their Customers. If we accept lessons from the past, we know that using it the way we have used Customer data to improve one to one marketing wil only bring us diminishing returns. And harvesting data, as if it is crops on a field to be sold for the highest bid, is not the right way to go either. At least not when it’s your sole aim to enrich your Company, not your Customers lives. Using insights from Big Data analytics to enhance the Customer experience, to enable Customers to grow their own skills and knowledge to get their jobs done better, probably is a better route to explore. Big Data holds a big promise. For companies and for Customers. Only If we choose so though. 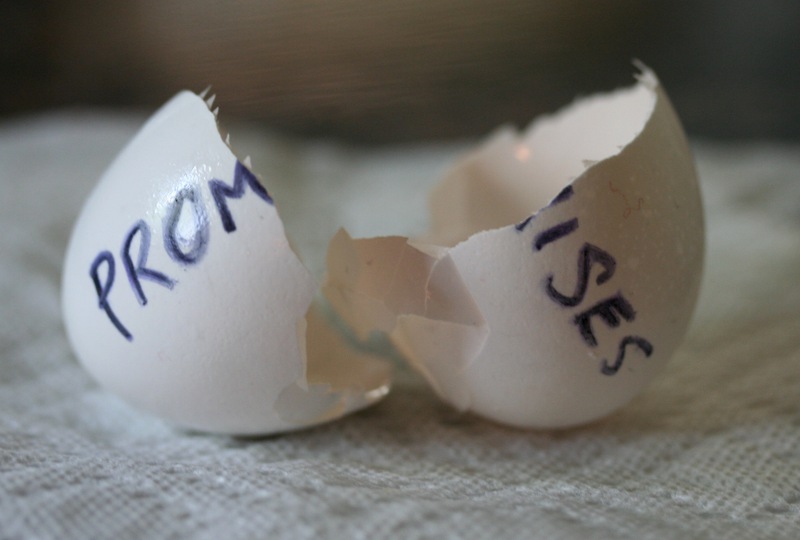 If not, Customers will refuse to be the product and the return of trust will too remain a promise. This entry was posted in Big Data, Customer Experience, Innovation, Leadership, Marketing and tagged Big Data, CRM, digital marketing, Hub of All Things, Internet marketing, Internet of Things, Marketing, VRM. Bookmark the permalink. I would agree that it’s the missing link to customer engagement. Real time behavioral data lets you know what are they expecting from you and you could use that to improve your customer touchpoints which can save you from upset churning customers. “Adding real (time) behavioral data to existing transactional, interactional and personal data, will surely result in better outcomes from (analytical) marketing efforts.” It will definitely because the power shift from sellers to buyers greatly demanded businesses to adapt on the current changing landscape. I agree with you the big data should be used to enhance the customer experience. The problem is there is a very thin line between a customer benefit and the business benefit. Todays relevant content is an improvement for the customer compared with the broadcasted advertisings. Still the idea on the background is still to sell more. To hold on strongly on the idea of using it for the customer experience means analysing your business goals! What is the aim and purpose of your business : why are we on earth :-)) what is my role in the customer experience. That is truely a changing experience for many Companies. Question is are we prepared to do that or are we just interested in low hanging fruit? If so, nothing will change and an other law lies ahead of us: “Don’t register my data keep me anonymous! interesting as usual, and I fully understand the outcry that came after ING’s announcement. In this case customers even pay for being the product. On the other hand I am slightly less optimistic than you are. Analytics on (our) data has become so pervasive and the feeling of being in need of a bank card, credit card, smart phone, Google as a search engine etc, might have made a lot of us disinterested in the data consequences, or probably just unaware. This can also be seen in the impact of the NSA/5 eyes surveillance topic (or rather the lack of an impact). Many companies, further, will argue that more targeted (relevant) advertising is exactly improving the customer experience.